Chocolate is deliciously complicated. Its history meanders the world intertwining with ancient royalty, secret societies, sensual pleasures, civil wars and slave labor. 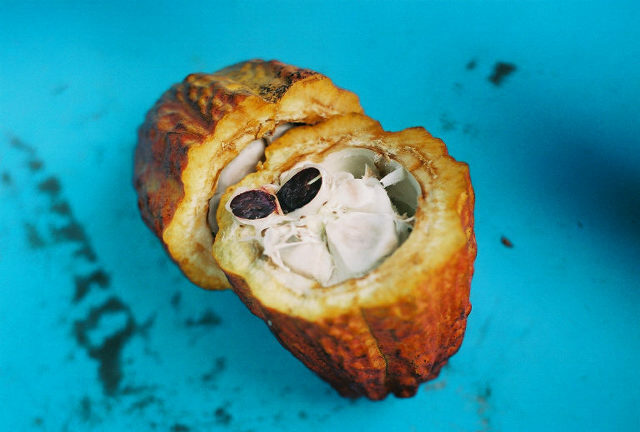 My obsession for chocolate has been life long but my work about chocolate’s complexity began in 2004. My projects investigate the polar duplicity that chocolate holds: misery and bliss; disgust and desire. Through this work I contemplate our need for beauty, sweetness, indulgence and intoxication and the greed and manipulation that results in securing it. 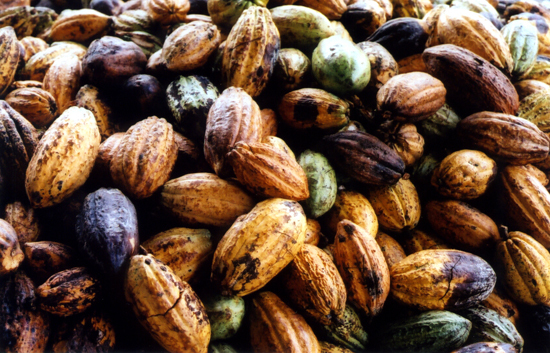 Based on years of research and travel to cacao farms in Ghana, Cuba, Brazil and Colombia and to the New York Board of Trade, I have studied cacao's global journey from farmer, to trader, to chocolate lover. Following my first solo exhibition, Free Chocolate in 2006, I collaborated with a small chocolatier in the U.S.A., presented with Global Exchange at the annual San Francisco Chocolate Salon, led a 6-week open forum “lab space” in Medellin, Colombia, and in one of my more performative inquiries, unsuccessfully applied to work on a chocolate factory line.